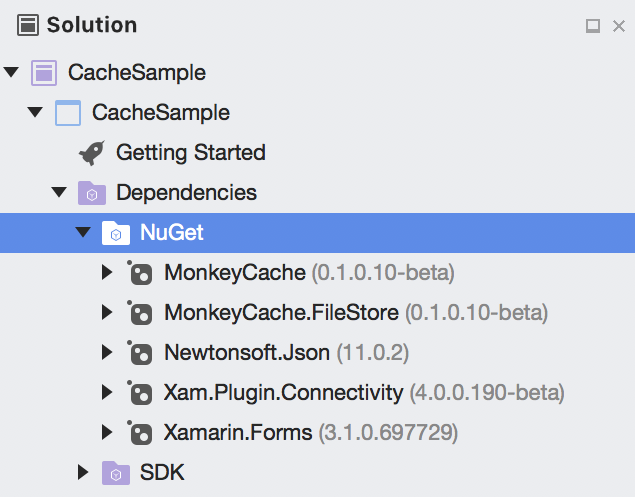 Today, we will learn caching technology in Xamarin.Forms as Monkey Cache. Sometimes we need to store data in the application that we develop. For example, HTTP requests, configurations, settings, databases etc. I need to store HTTP requests for a while during work on a project. I found Xamarin monkey cache while I search about caching strategies in that way. Monkey cache is a simple way to store any type of data. It supports SQLite-net, LiteDB, and a simple File Store. Monkey Cache is built against .NET Standard 2.0 and that means it is not just using with the mobile applications; it can use in any .NET projects. 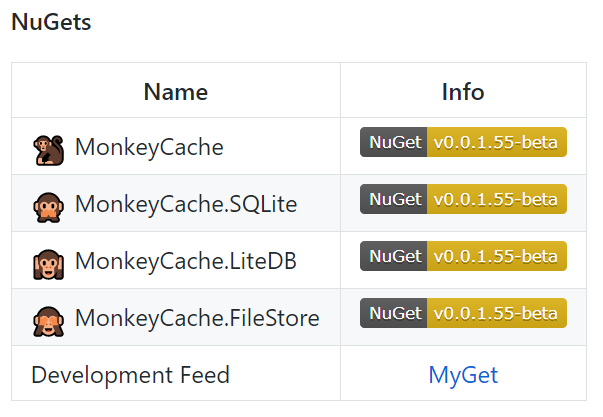 First of all, let’ s install Monkey Cache in our project from NuGet packages. You can use any file storage type in your project. I prefer FileStore for this project. I install MonkeyCache 0.1.0.10-beta, MonkeyCache.FileStore 0.1.1.10-beta. Data is stored in a “Barrel” or IBarrel. Don’t forget to give an application id on the barrel before storing data. We have seen together how to use Monkey cache today. Easy, right? You can use it over any caching scenario. Follow sample project here. You can find Monkey Cache Github source here. You can find my previous article on Xamarin here.